Scientists in Canada have recorded temperatures for the 71-year peiod from 1936 to 2006, and have seen that mean monthly temperatures have increased enough to provide what they call a "substantial warming signal." Specifically, mean monthly temperatures increased by 5.3 degrees Celsius in February and by 1.5 degrees Celsius in May. 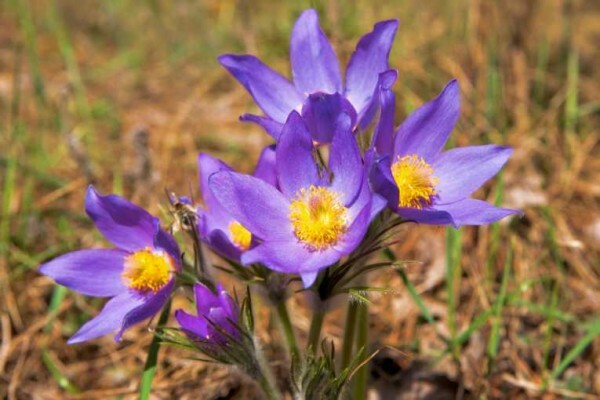 Now researchers at the University of Alberta report that this warming has brought on earlier bloom times for the regions native trees and wildflowers. And while this may sound like a happy event for those who joyfully await spring every year, researchers are wary that it may lead to problems for the species involved if they are exposed to late-spring frosts. Elisabeth Beaubien, Alberta Plantwatch Coordinator and a graduate student at the University of Alberta, and her supervisor, Andreas Hamann of the Department of Renewable Resources, worked with historical data from 1936 and more recent data from more than 650 volunteers of the group Alberta Plantwatch to find out how the warming winters have affected seven species of plants that grow in the central parklands of Alberta, Canada. They report in the July issue of the journal Bioscience that prairie crocuses (Anemone patens, also known as Pasque flower, prairie anemone, prairie smoke and wind flower), long known as the "harbinger of spring" are welcoming spring in earlier by up to two weeks compared to 70 years ago. The same goes for the aspen trees (Populus tremuloides). These two are the earliest blooming species in the area. They also found that species that bloomed later, saskatoon (Amelanchier alnifolia Nutt., also called serviceberry, juneberry, shadbush, indian pear or chuckley pear) and chokecherry (Prunus virginiana L. (var. melanocarpa Sarg.) also called wild cherry or chokeberry) - were blooming up to six days earlier than they used to.